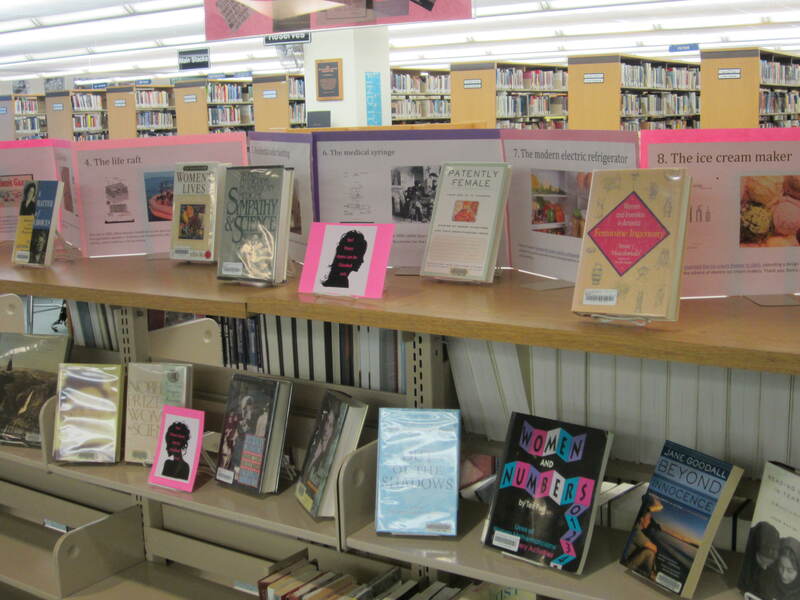 A celebration of Women’s History Month will take place in the IRC today, beginning at noon with readings of original stories and published literature by IMSA students, faculty and staff. 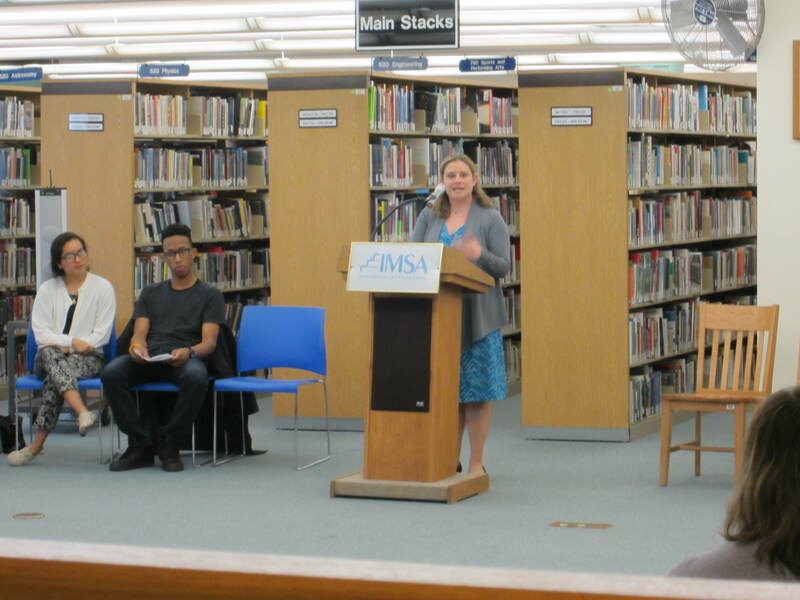 The Read-In features IMSA groups the Bellas and the Fellas, and IMSA staff Leah Kind, Ph. D., Bonny Sucherman and Chris Whitehead. Leah Kind, Ph. D. opened the Read-In by noting that it hasn’t always been easy for women to write and publish their work, and today there are women all over the world who are still writing under the shadow of fear and punishment. 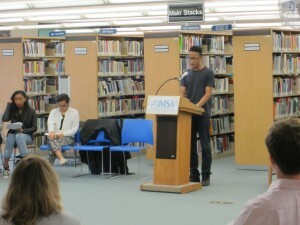 Kind went on to mention noted women writer’s throughout history and their contributions, and mentioned IMSA’s English teachers reminiscences about women writers. 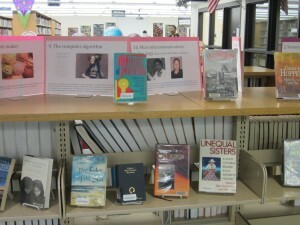 The second reading was “Phenomenal Woman” by Maya Angelou. During the Read-In students read other works by Plath and well known writers, including Alice Walker and Sandra Cisneros. Only one student read her original writing – a poem she had written in Creative Writing class. the poem is “Never Again” and refers to violence against the author and what she does to end the abuse. 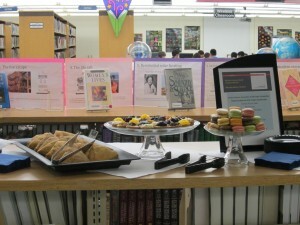 Tea was served during and after the Read-In. This entry was posted in Events on March 16, 2015 by nluebke. In the IRC we are celebrating women in science, technology, engineering and their accomplishments during March, which is Women’s History Month. 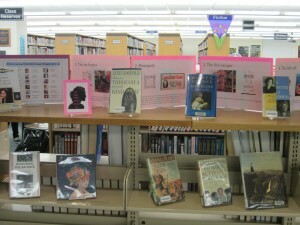 A new display highlights accomplishments of women like Elizabeth Blackwell (1821 – 1910), who was the first female licensed doctor in the United States; and Dian Fossey (1932 – 1985), primatologist, anthropologist and naturalist who made an extensive study of gorilla groups during 18 years before she was brutally murdered. The care heater was invented by Margaret A. Wilcos in 1893. Wilcos also invented a combination clothes and dishwasher. The board game Monopoly was invented by Elizabeth Magie in 1904. Magie called her new game “The Landlord’s Game” and it was a critique of the injustices of unchecked capitalism. The Fire Escape was invented by Anna Connelly in 1887. The life raft was invented by Maria Beasely in 1882 after she observed that large numbers of people were dying in transportation disasters. She also invented a machine for making barrels. In 1947 Maria Telke, Ph.D., a physicist and solar power pioneer, teamed up with architect Eleanor Raymond to build the first home entirely heated by solar power. Actress Hedy Lamarr invented a secret communications system during World War II which employed “frequency hopping” technology that laid the technological groundwork for everything from WIFI to GPS. 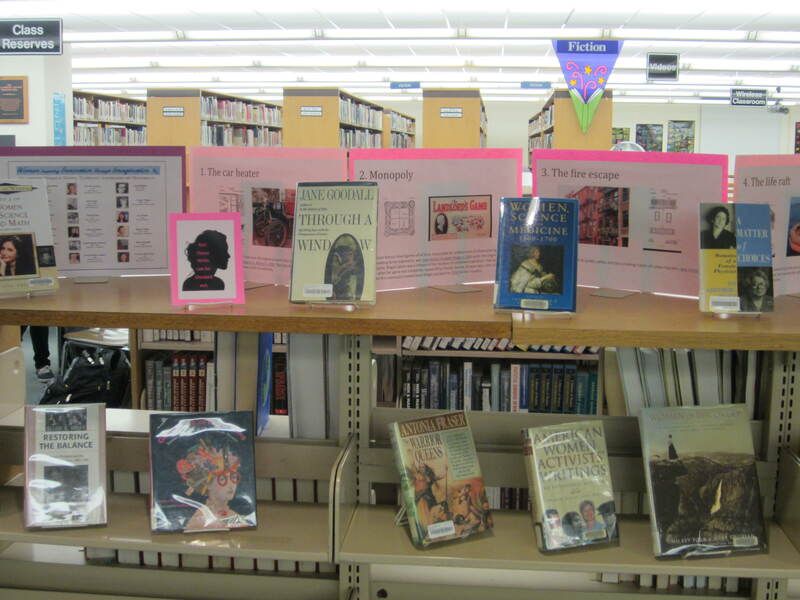 Stop by the IRC to find out more about the wonderful women who have made our world a better place. 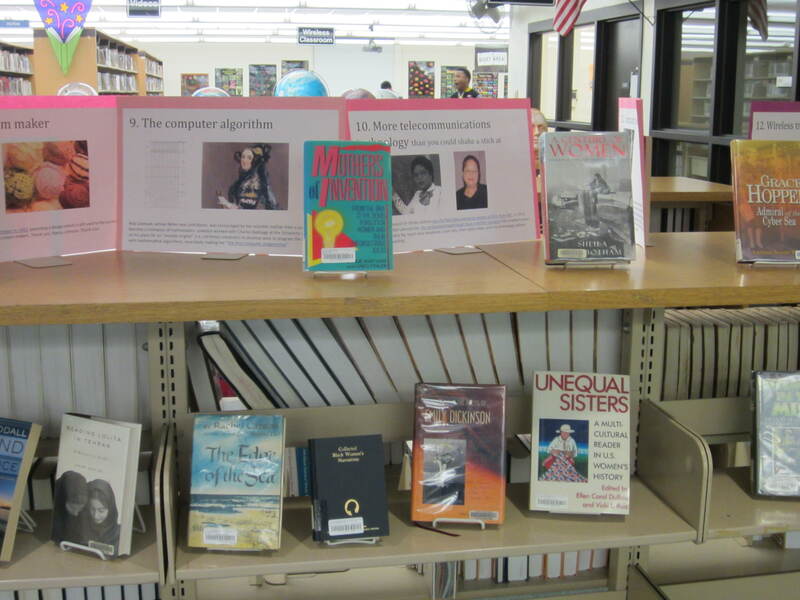 All the books on display can be checked out, and if you feel inspired by these women and would like to embark on your own enterprising invention path, check out “Make:Technology on Your Own Time” on the magazine shelves in the IRC. 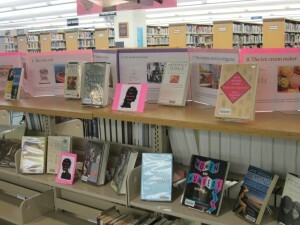 Thanks to IRC staff Jeanette Clark, Connie James-Jenkin and Nancy Pavlik for putting this display together. This entry was posted in Displays on March 10, 2015 by nluebke. It’s Super Sunday in the IRC on March 8, 2015! The first Super Sunday of this semester will take place this Sunday, March 8th. The IRC will be open from 4:00 p.m. until 8:00 p.m. to accommodate students who wish to study, research, print or check out library items. IRC staff will be available to help with research and technical support. This is a great opportunity to work on a class project, study for midterms or work on your IMSAloquium project. Hope to see you there! This entry was posted in Announcements on March 5, 2015 by nluebke.